The Georgia Southern University Research and Service Foundation, Inc. The Georgia Southern University Research and Service Foundation, Inc., (GSURSF), is a nonprofit, 501(c)(3) organization that fosters and promotes the research, service, and educational missions of Georgia Southern University. The Foundation functions as a cooperative organization to the University and is subject to and complies with all policies of the Board of Regents of the University System of Georgia regarding cooperative organizations. The Foundation obtains grants and contractual obligations from individuals, government and public agencies, industry sponsors and private organizations to support research, instruction, and service activities at Georgia Southern University. Through a memorandum of understanding with the University, the GSURSF assigns the awards to the University for performance, providing the various academic and support units of the University with the financial means needed to carry out research projects and various external educational and service programs. If an application, proposal, or contract is not processed through the ORSSP and properly reviewed and approved by the institutions many academic and administrative units, there is the risk of an award not being accepted or unnecessarily delayed. 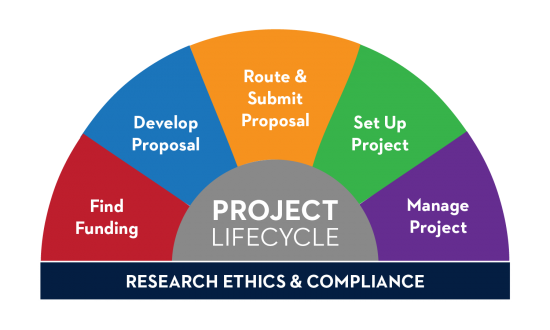 Additionally, if a project is solicited by a third-party, and work is performed on this project in absence of a recognized and fully executed sponsored program (grant or contract), the principal investigator alone maintains ultimate liability for any and all requirements of the research program. Further, the principal investigator must reimburse the University for any and all costs associated with the use of University resources commonly associated with the pursuit of this research.